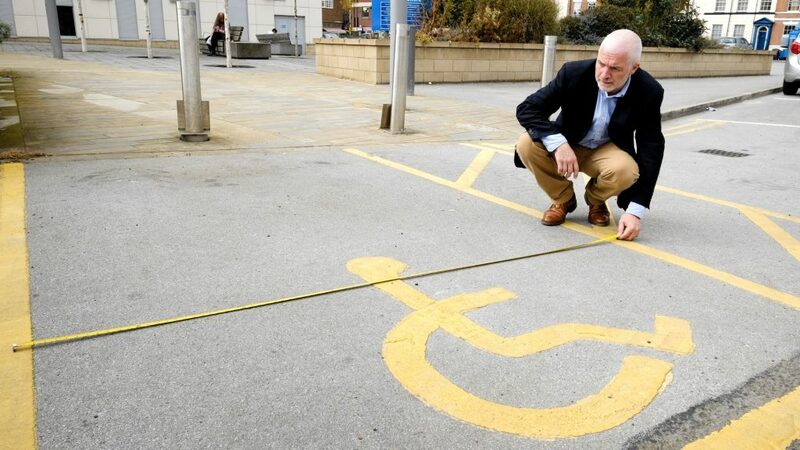 An accessibility expert based in East Yorkshire is urging businesses to remember their disabled customers when drawing up their New Year resolutions. Ian Streets, Managing Director of About Access, has set out six New Year resolutions which can help business owners and operators build their customer base by making products and services more accessible. He has also drawn up a seventh option – urging disabled people and their representatives to complain more about businesses which fail to improve accessibility. Ian said: “It is important to give business owners and service providers the opportunity to learn from an accessibility failing and to correct it, so any complaint should start with a constructive and informative approach. Ian launched About Access in 2006 and offers consultancy and accredited practical advice on disabled access for a wide range of businesses and public bodies. He sits on the Hull Access Improvement Group (HAIG) and has built up an international client base which, in the UK alone, includes The O2 Arena and Network Rail. He was inspired to draw up a list of New Year resolutions to improve accessibility after considering the various things that people pledge to take up or stop doing, and how long it takes to break the promises. He said: “Motivated by a month or more of excess, New Year ‘resolutionaries’ worldwide will commit to giving up the booze, cigarettes and cake. They’ll trumpet their targets for training regimes and weight loss. Will it last? Media reports year after year suggest not, and there’s even a ‘Quitters’ Day’ which has been identified as the day when most New Year resolutions bite the dust. “The obvious answer is to choose a New Year resolution that you can stick to, so the first of our suggestions to help to create a more inclusive world is to maintain your commitment to improving the accessibility of your business. Number two is to remember that not all disabilities and impairments are obvious. Pause for thought and don’t jump to conclusions. Just because someone can walk into or out of an accessible loo without a mobility aid doesn’t mean they aren’t disabled. Third on the list is to look at what your business does, anticipate the range and variety of impairments and consider whether all people can access all of your services. The fourth suggestion is to join the growing number of businesses which have introduced a quiet time. Set aside a period during the week when you can introduce that to accommodate people who need a quieter environment – and let them know you are doing it. Number five is to give your staff disability confidence training. Small businesses could get together with neighbours to share the cost and work together towards making their business community a focal point of inclusivity. Larger employers should do it routinely. Resolution number six is to undertake an access audit of your premises, and to seek help if you don’t have the skills or the knowledge to do that. This is particularly important where premises are being built or modernised – architects and designers should seek advice on how accessible their proposals are. Act on the findings and you will be rewarded with increased business by removing the obstacles which prevent disabled people and their companions from buying your products and services. 1 Comment on "Access expert urges New Year “resolutionaries” to create an inclusive world"
It’s a shame more thought was’t put in to the design of the footbridge over the A63 near the Marina. I wonder how many disabled people, particularly those with a mobility issue, were consulted. For some people this footbridge will be an obstacle to their enjoyment of the Marina.